One of my most recent toys is a Wacom Bamboo pen tablet. I'm using it for developing animations for an old school Sierra-style adventure game that I'm working on, but I started thinking that it would be an interesting way to interact with music software via MIDI. 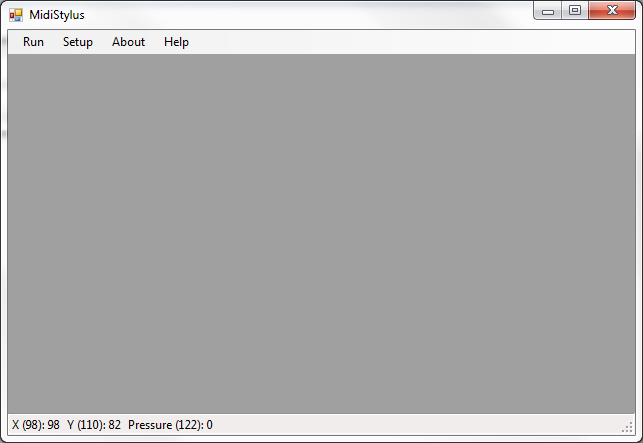 The tablet registers pressure as well as X and Y location, so that's three potential control values I can transmit in realtime to Ableton or some other piece of music software. After a weekend of work I came up with MidiStylus. You can download it here. 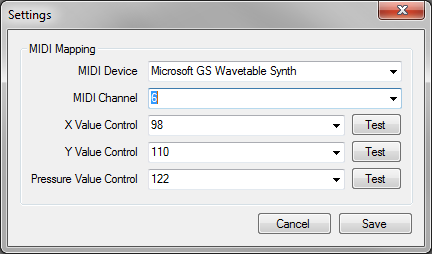 The program can be set to transmit any MIDI control value on any MIDI channel. I'll be hooking it up to AudioMulch next weekend and posting some of the experiments here.